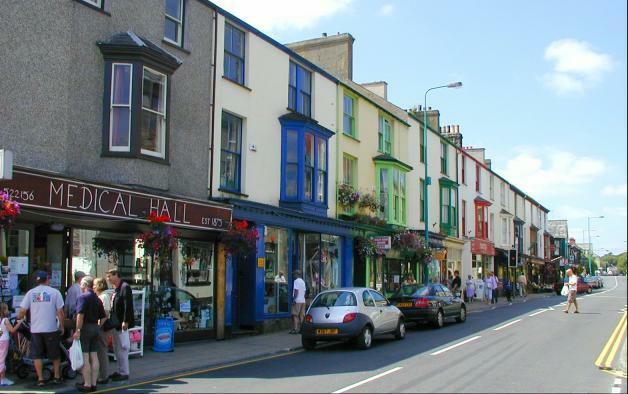 Criccieth High Street @ High.St - High Street shops and High St businesses. Large Google map of Criccieth High St.
"Croeso i Criccieth." Welcome to Criccieth. Criccieth is known to go back to at least 1230 AD when the castle, which dominates the area, was built in the 13th Century. It is easy to see why people settled here, with a wonderful South facing beach overlooking Tremadog Bay that scoops up the warm Gulf Stream currents and is protected from bad weather by the Lleyn Peninsula. Despite its long history, Criccieth has remained a small town and still retains its local character along its High Street of individual shops. Along with watching the dolphins in the sea and walking in the Snowdonia hills, there is plenty to do in the area, including visits to Portmeiron Village (where the cult TV series 'The Prisoner' was filmed), Black Rock Sands and the Ffestiniog Railway. And don't forget to visit the museum dedicated to David Lloyd George, Prime Minister during the First World War. Criccieth has 2 fairs each year, on the 23rd May and 29th June (unless this falls on a Sunday) that are worth visiting. Criccieth Tourist Information Service is the official and most comprehensive site of the area. Historical and community information can be found on this Criccieth website.